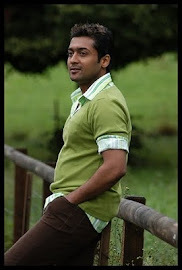 In a recent interview actor Surya has revealed that his wife and former actress Jyothika still has the desire to get back to acting. He made it a point to clarify that it wasn’t his decision to keep her away from acting. But when quizzed him as to why she takes up only endorsements but not films, Surya explains that shoot for endorsement lasts only for a couple of days and that she thinks she cannot afford spending long time in shooting spots without being there for her children. The Maatraan actor also said that his lady will come to act when she thinks that it is the appropriate time. Jyothika’s last release was Seetha Kalyanam in Malayalam.